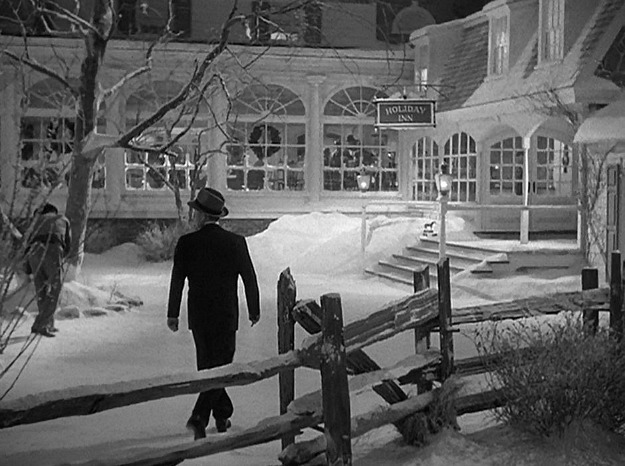 One of my all-time favorite Christmas-movie houses is the farmhouse that was transformed into Holiday Inn for the 1942 classic with Bing Crosby and Fred Astaire. 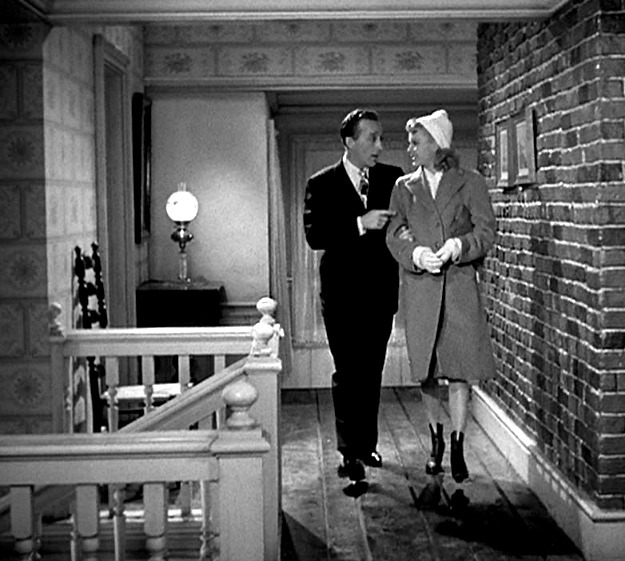 It brought together three greats in the prime of their careers — Bing Crosby, Fred Astaire, and Irving Berlin. It inspired the name of the motel chain in 1952. 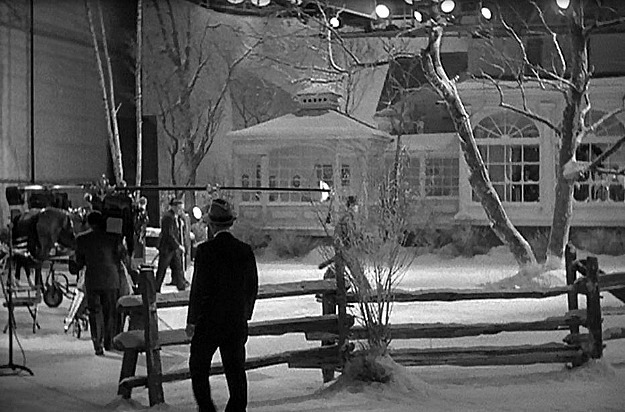 “White Christmas” became the most popular pop song ever written. It might not be a very practical mode of transportation, especially on cold, wintry days, but it sure looks romantic, especially when a lovely farmhouse like this one is the destination! The idea for the movie had been floating around Hollywood since the mid-30s. 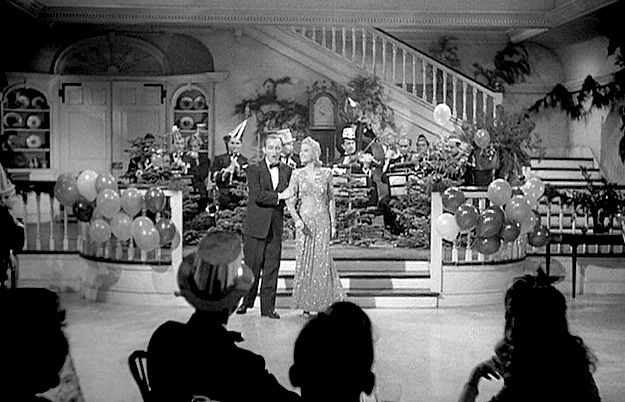 Irving Berlin wrote all of the songs for the movie. Even the background music was his. He considered writing a play about all of the American holidays. Instead, he ended up pitching the idea as a movie to the director Mark Sandrich, who liked the idea enough to make it happen. 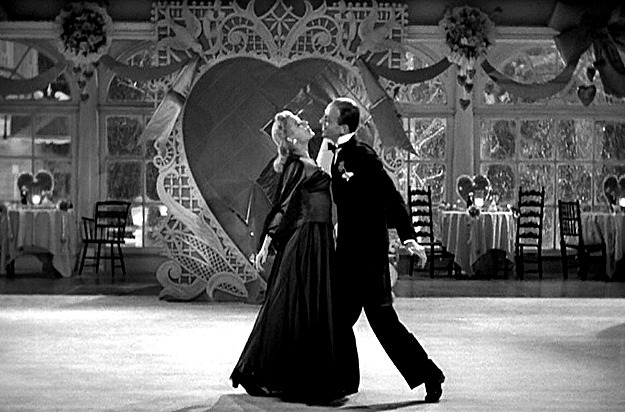 They reportedly wanted Ginger Rogers and Rita Hayworth in the movie, but because Crosby and Astaire were costing the production so much already, they couldn’t afford them. 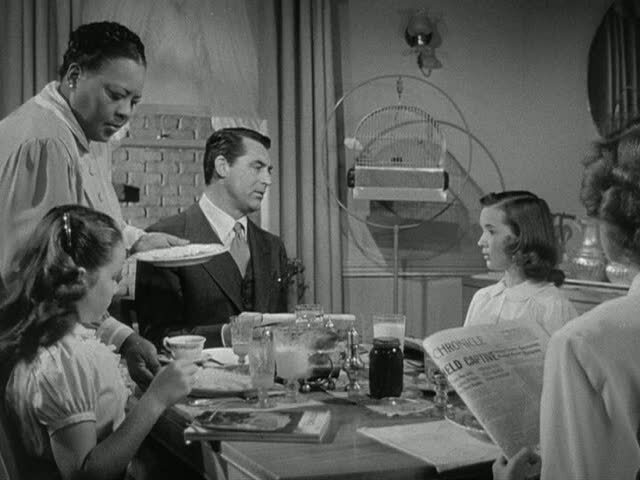 They had to find two lesser known, less expensive actresses to play the parts, which went to Marjorie Reynolds and Virginia Dale. 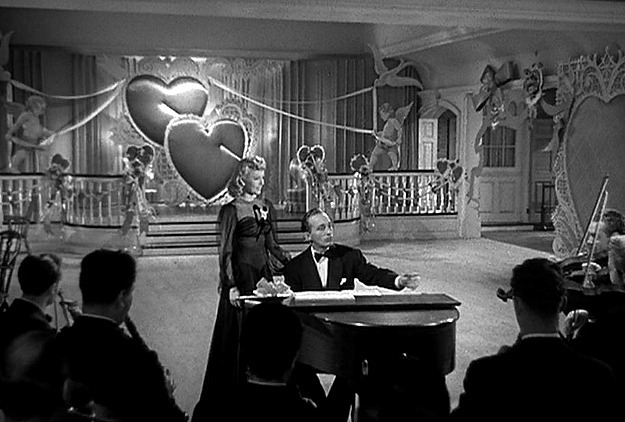 The song Berlin wrote for this scene, “Be Careful with My Heart,” was the first real hit that came out of the movie in August of 1942. 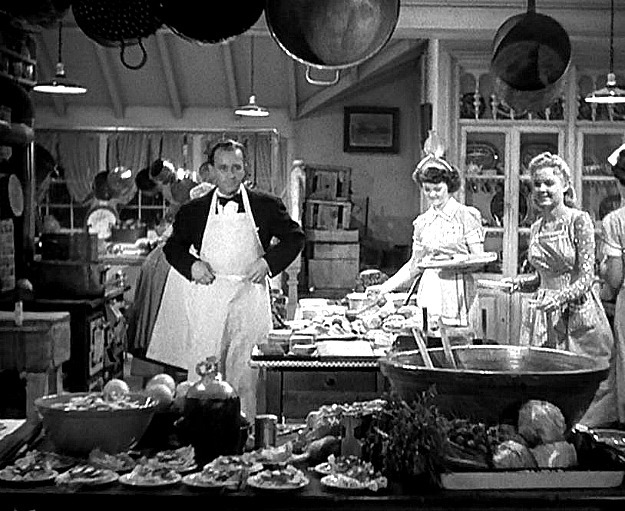 Few critics even mentioned “White Christmas” in the reviews. 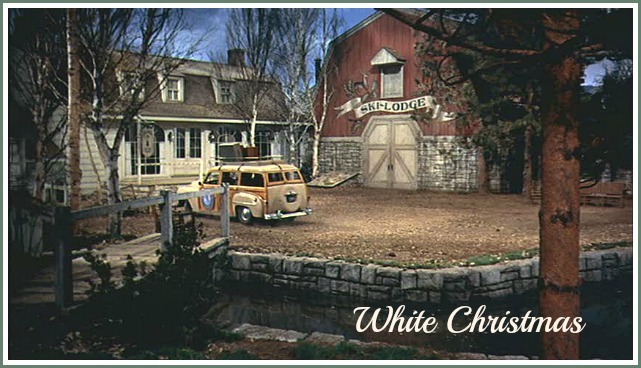 But by October, “White Christmas” had hit #1 on the charts and had blown the first single out of the water. The movie was rooted in the times it was written, as we’re reminded every time we see the black-face routine they perform for Lincoln’s birthday. Apparently most TV stations now edit it out when they air it, so you might not see it if you don’t watch it on DVD. 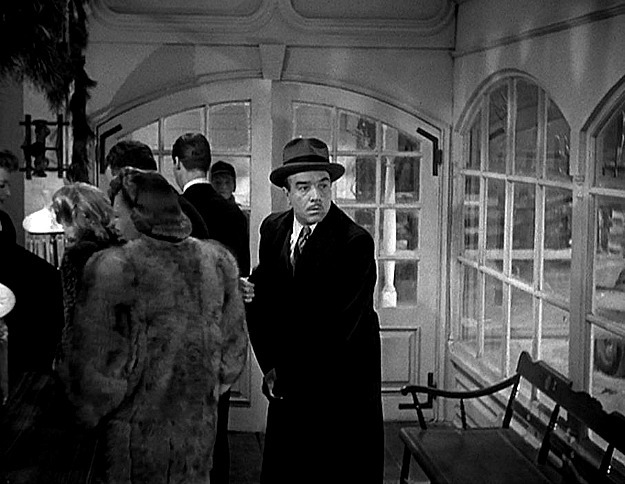 One of the original titles they considered for Holiday Inn was Stars on My Shoulder. The movie got three Oscar nominations and won one, for Best Song. 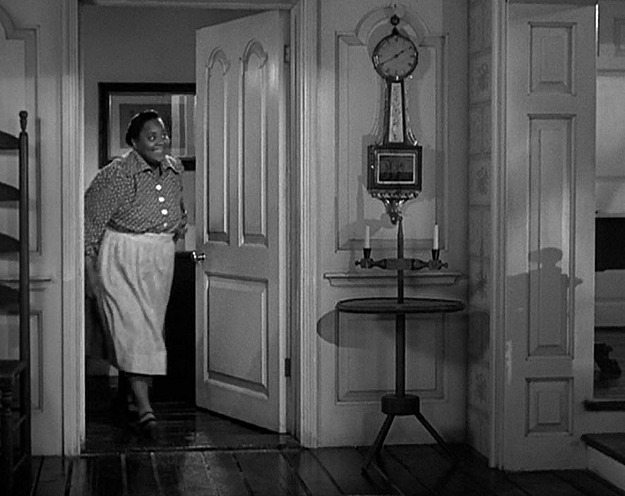 Louise Beavers played Mamie, who ran the inn for Jim with her children trailing close behind. She even made him a full Thanksgiving turkey dinner for him to eat by himself. You can see photos of the lodge here: Columbia Inn in Pine Tree, Vermont. Jim gets the girl in the end. Was there ever any doubt? 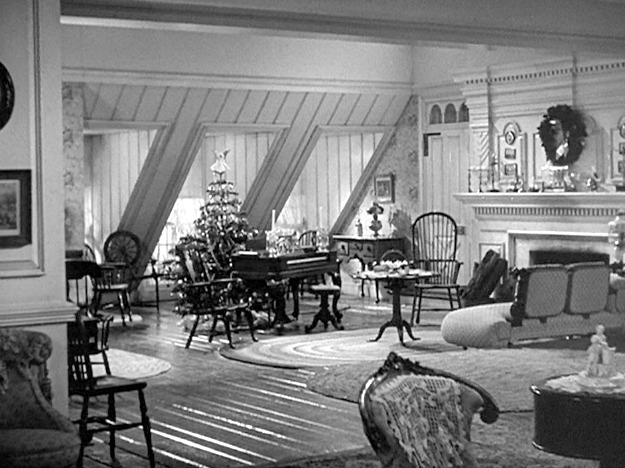 this one of my all time favorite christmas films…probably because of the great interiors :). i love all of the rooms, the kitchen & the bedroom with the fireplace in particular. I totally agree with you. 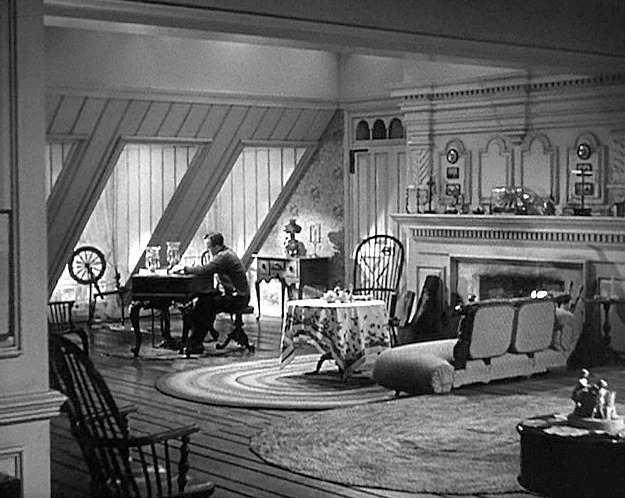 It’s lovely rooms and the whole feel of those films. It’ll never be the same with new movies. I can’t remember ever seeing this one though. I’ll keep an eye out for it. I have TCM, so it might get aired there sometime. Thanks for a lovely entry and Merry Christmas to you. 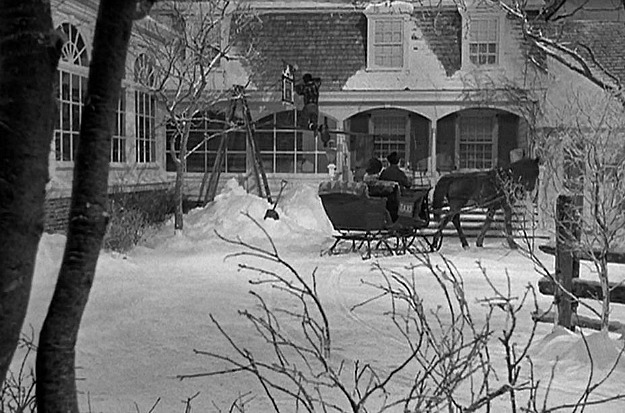 I love Miracle on 34th Street, too, as well as White Christmas, Little Women, While You Were Sleeping and A Christmas Carol with George C Scott. This was my Nana’s favourite Christmas movie. Thank you for posting, Julia! I’m warmed by memories!! Thanks for posting this one Julia! It’s one of my all time favorite movie houses. We’ve been trying to make over our house into a similar design. Lots of those great HL hinges on the doors, vintage wallpaper, braided rugs, Hitchcock and Windsor chairs, etc. It’s funny because when we watch those old movies, my husband always comments that “Hey! We have that table!” or chair, or wallpaper. I even hunted down the crazy wallpaper that’s in the Trouble with Harry house and he hung it in our hallway. The Early American style is so cozy, I wonder why it fell out of favor? I’d love to see pics of your house, Jane! Sounds dreamy. I’ve also wondered why the early American styles faded away, they were darling! The modern homes are now character-less strings of humongous garage doors. My grandma had a detached garage (better for health reasons, too!) and a real old fashioned back door. I love the idea of having a back door; they are so friendly. I agree with you guys! I adore this time period for the warmth and genuine style. Not trying to impress everyone, just to be cozy and inviting. I wonder if people are starting to crave this atmosphere again, particularly during these trying times. I think we all want to feel safe and cocooned….surrounded by family, friends and love more than ever now. THAT has certainly never gone out of style, but maybe the current decorators have forgotten it. I love that movie! And that back stair case (drooling!) how cute is that?! I grew up on silver screen romantic comedies, and actually prefer them over new movies. One of my favorites. 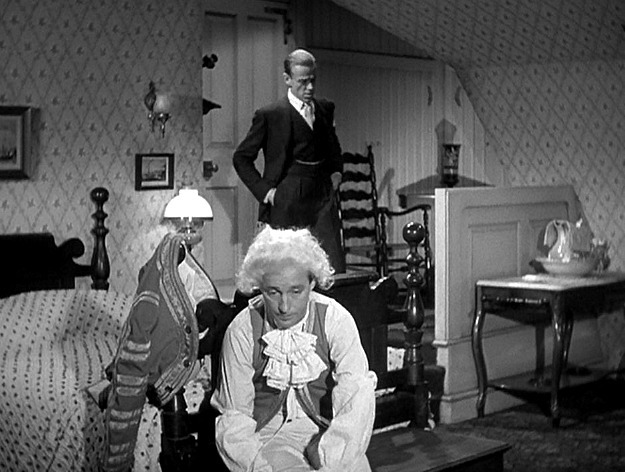 I suffer through the Lincoln Birthday scene though, but my main reason for watching this movie is that house. The first time I saw it (almost 40 years ago as a teenager) I fell in love with the house. I even remember making my mom come look at the TV to show her the rooms. I’m still as much in love with it now, all these years later. I loved that scene as well, Cathryn! I heard once that he kept taking shots between takes or something like at! He was so incredible!!!! I LOVE this movie ~ we’ll be watching it this weekend!! I too love the movie, and also White Christmas. 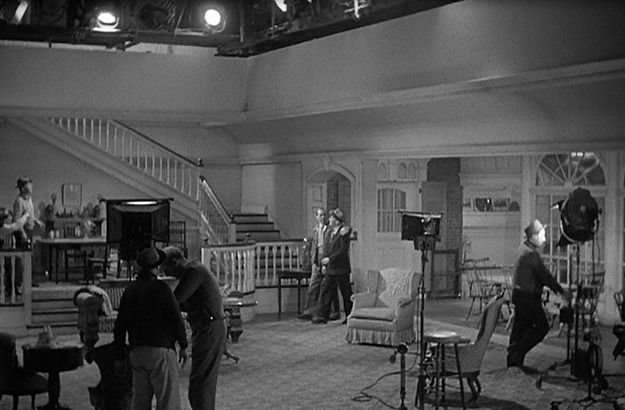 I do not have the info you asked re: which scenes of Holiday Inn are truly at the site, and which are on set. I do though, live in Northern California. I have been to this lovely spot. The building (still an inn) is a vintage dream. The outdoor/grassy area/stream (as shown in your 4th July scene) looks like this at Russian River. It is all a delightful place to visit! I am completely with you on having a dream house from one of these classic homes during the 1940s. Can’t beat them. 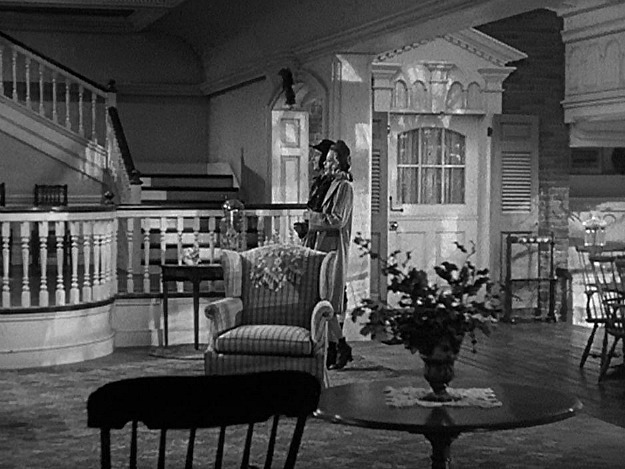 That is why I was hoping you’d cover Leave Her to Heaven with Gene Tierney because it had a couple homes, one a southwest and one like this one that I just love, plus, it’s one great movie. I think this type of home is just so cozy and warm and love the 1940s chintz florals and the priscilla curtains. Just love it all. Ok…..you blew me away with this one…..once again!!! I LOVED this post and re-reading your one on “White Christmas”!!!!! Thank you, thank you, THANK YOU! I am again reminded of why I so love dormer windows (we have eleven!) window seats, hurricane lamps, wallpaper (yes, wallpaper! ), white houses, fan lights over windows and doors, staircases, staggered floor heights, brick walls, all the wonderful music from this time period…and SNOW!!!! This was just a lovely little escape after what has been a very sad and tragic few days. Awww this makes me want to see this flim. Julia I was just thinking about these movies the other day! 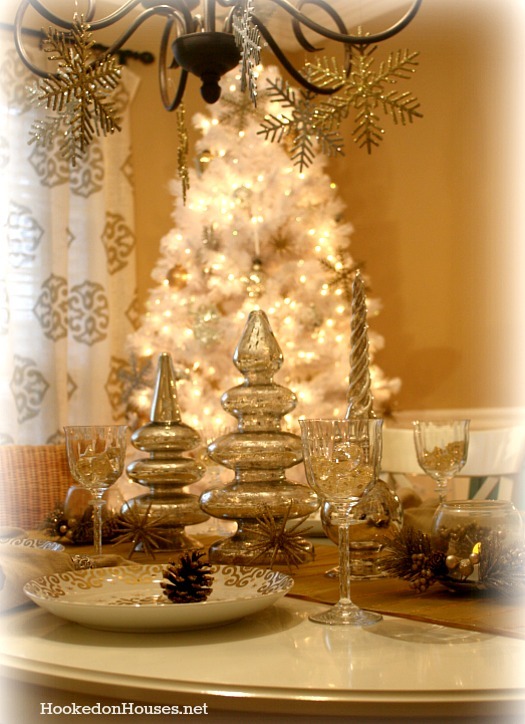 I had a little fantasy moment in my head about owning a bed and breakfast and how I would love to have holiday themes and entertainment . . . hmmm . . . like I said . . . fantasy moment!! Those deep, deep dormers in the living room are what get me every time. 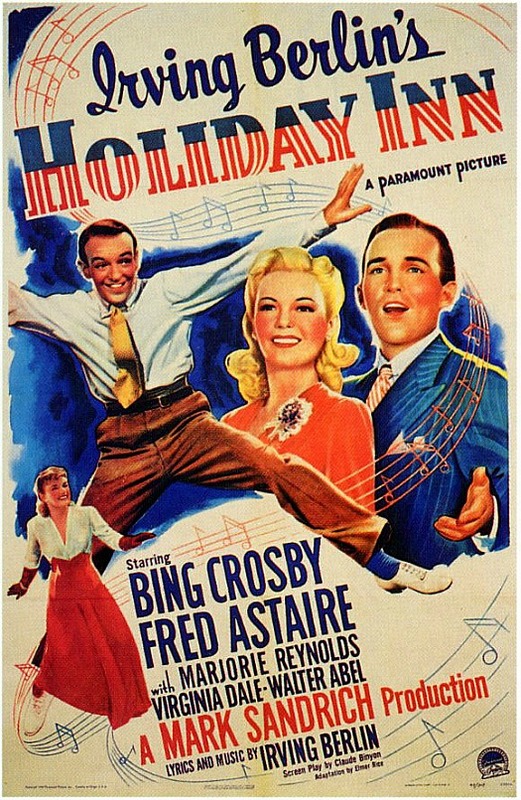 Have you ever watched “Holiday Inn” and then “White Christmas” right after? They are eerily similar–in a good way. This is my mother’s favorite holiday movie, so we watch it over the holidays every year. Mine are the original and 90’s (or was it the early aughts?) versions of “Miracle on 34th Street”. It just isn’t the holidays without them. Thanks for sharing all the best houses, Julia. I get Holiday Inn and White Christmas confused, but I was a costume lover, so I loved these movies. Wasn’t always crazy with the acting. But again, loved the costumes and “home” like settings. 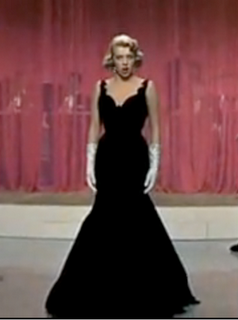 Costume-wise, White Christmas has an edge if only due to Rosemary Clooney’s curvy and sculptural black gown that she wears while singing “Love, You Didn’t Do Right by Me” in the nightclub. What a dress. I agree. I LOVE that black velvet gown Clooney wears! 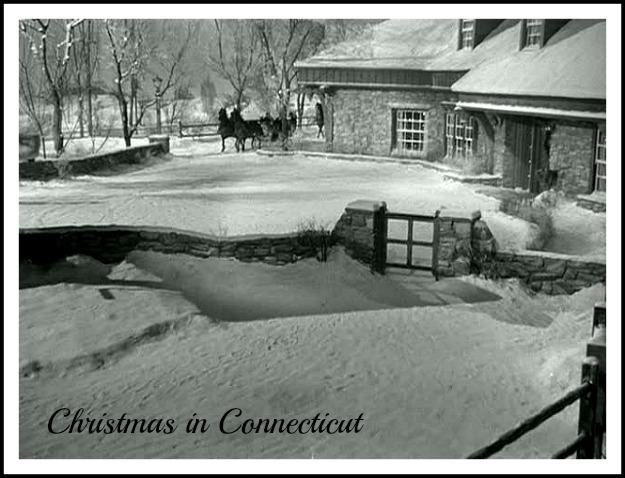 Every time I watch either this movie, White Christmas, or Christmas in Connecticut, I tell my husband “if I win the lottery, we are building this house!” I adore old houses! 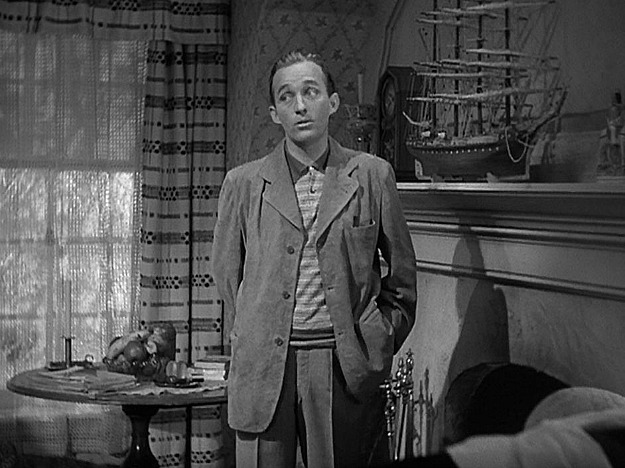 I love all those old Bing Crosby movies! Just watched this one this past weekend. 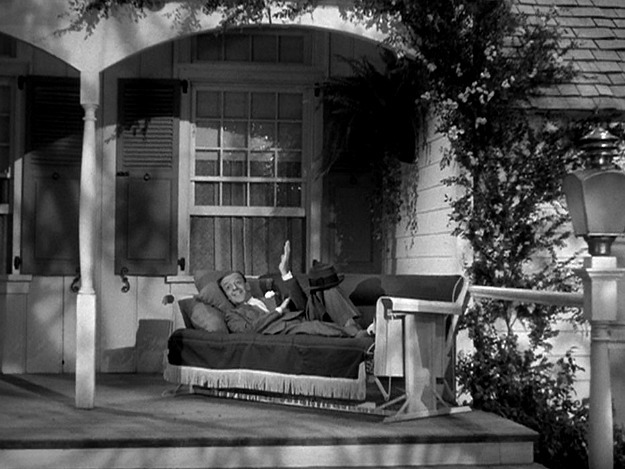 And while I love the old homes in Holiday Inn, White Christmas and Christmas in Connecticut; I’ll take the home from It’s a Wonderful Life every time. I just love the sentiment that Mary’s character has for fixing up a beautiful old home that time forgot! I grew up watching all of these old classics with my mom, and have always loved all the interiors of these cozy country homes. 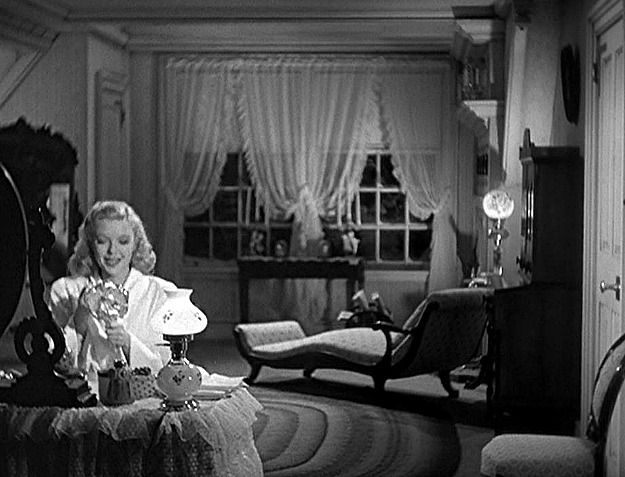 Another one of my favorite interiors beside all of the others mentioned here was Bringing up Baby. I always wanted to own a home like these, and finally our dream came true. We were going to build but got lucky when we came across a house that had all of the features of these movies. All of he beautiful woodwork that you normally don’t see in new construction much anymore. Funny thing is this home was built in 1990 but when you walk into it is says 1930’s/40’s Connecticut country home. Back staircase, coffered ceilings,wood floors, window seats in all the bedroom, and all of that yummy crown molding and woodwork. We are still doing renovations, and adding a master suite upstairs. I have just decided on the exterior colors and of course it will be white with black trim. I only wish my mom was here to share it with me. We both loved this style of home, and even though she got to see the home she never found out we finally got it before she passed, but I think she is smiling down on us right now. You have no idea how much I appreciate you sharing all of these homes, it brings back so many wonderful memories of me and my mom watching all of these old classics. And Nita…YES!!! !Leave her to Heaven is a wonderful movie. What a beautiful house!! 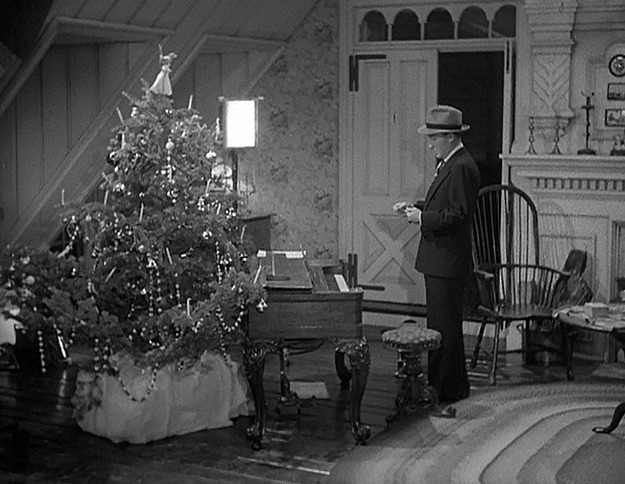 One note about Holiday Inn and the later White Christmas. 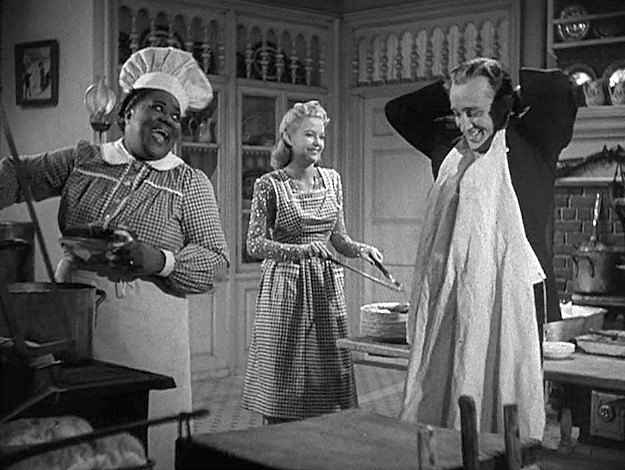 I doubt anyone wants to see “Abraham” number in Holiday Inn, but did you know that the music to that song is the basis for a dance routine in White Christmas? No lyrics, no blackface, just the fun music. A good use for that piece, I’d say. 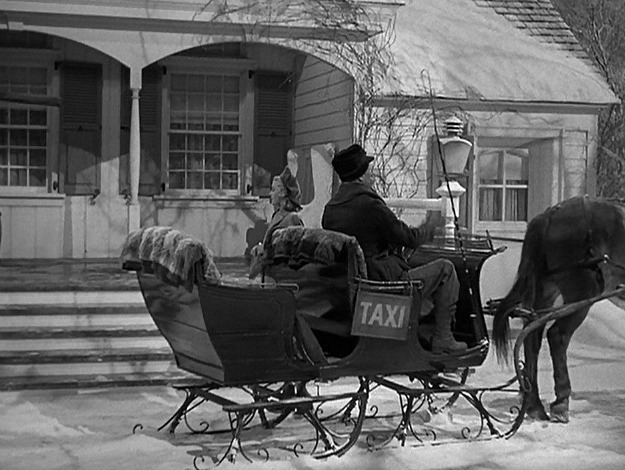 I just realized that Abraham song was the same the last time I watched “White Christmas”. Also – I wrote my answer before reading yours – but we always say, “Oh LINDA Mason” too! It cracks us up! That’s right–they do that “minstrel show” but without the black-face. A fantastic post as always – great for the holidays. I love this movie (except for Lincoln’s birthday as you say). 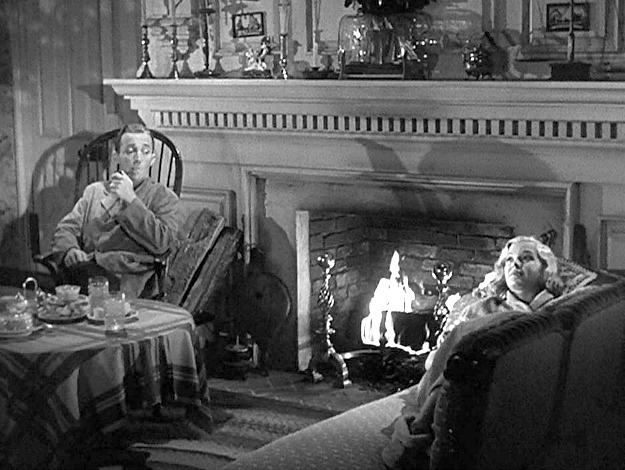 I totally agree that the fireplace section is a very cozy part of the set. I thought “Linda Mason” (we always say, “Oh, LINDA Mason” like Bing says in the movie!) had great outfits including that gingham apron! Yeesh on those colorized versions – I think they are awful – the black and white is perfection. 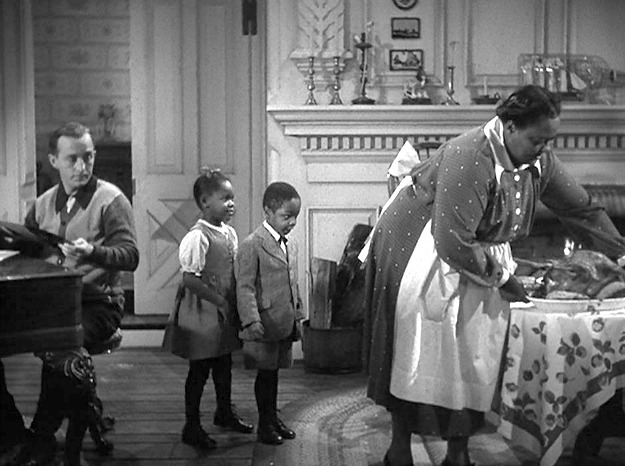 They say young people just won’t watch black and white movies. I’ve never understood that argument. 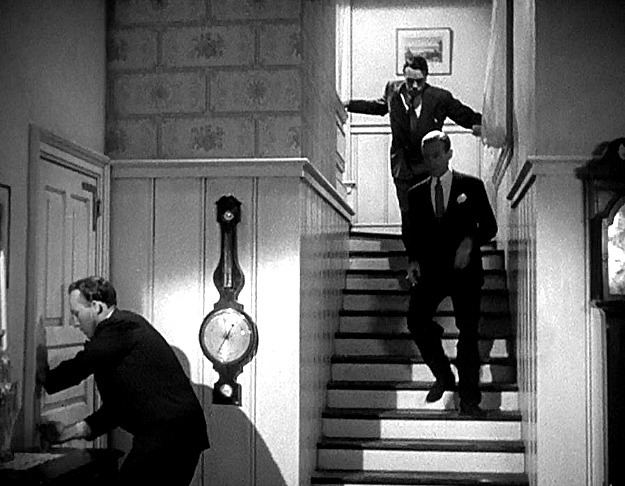 I loved b & w movies even as a kid and still do! The colorized versions never look quite right to me. I totally agree. 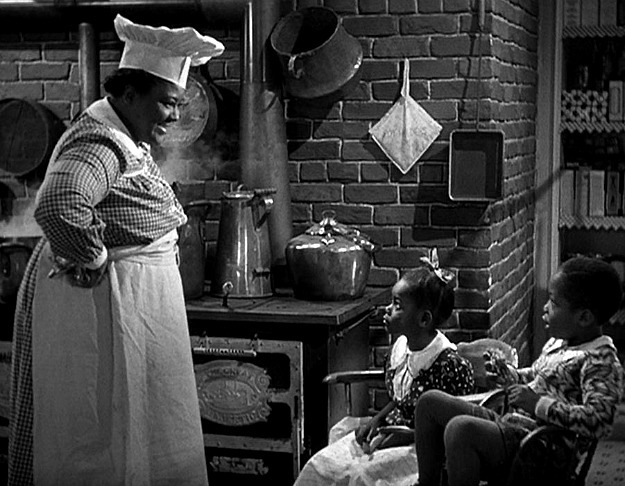 If we watch black and white movies with the next generation – they’ll appreciate them. Once the movie starts you forget about the color. 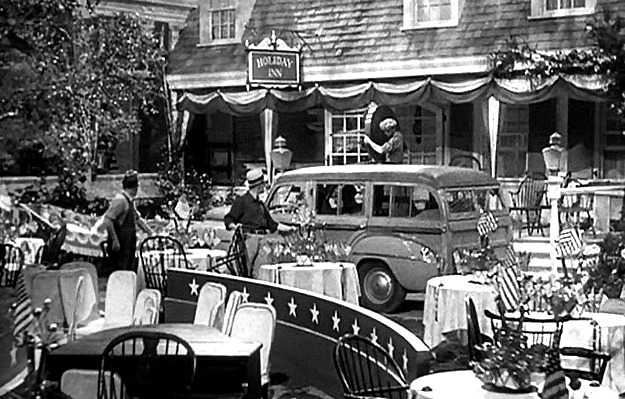 It’s odd that you mention it because I never think of “Holiday Inn” as black and white – I see it in my memory in full color somehow. I would swear Linda Mason’s lame dress is really gold! I’ve never seen this movie in “colorized version” but have seen a couple of others (which I won’t do anymore) and I spent the whole movie looking at the black and white in the background. 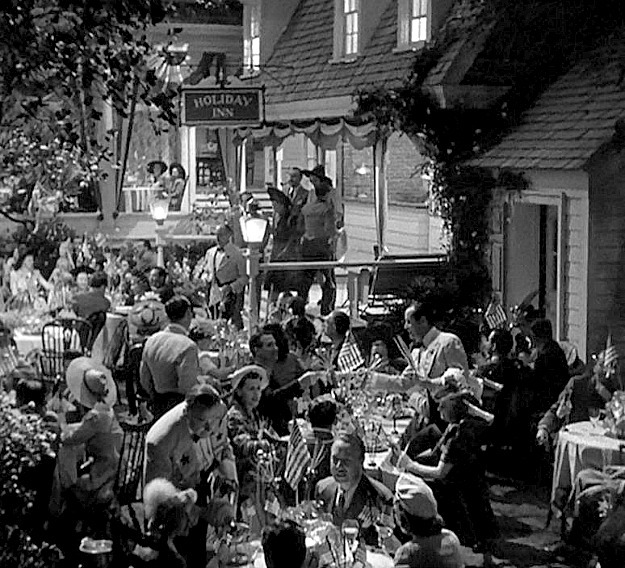 They only color the people and costumes and what is most obvious in every scene – so the background stays black/white. You can even see it in the one pic you posted from HI above. It’s so distracting! 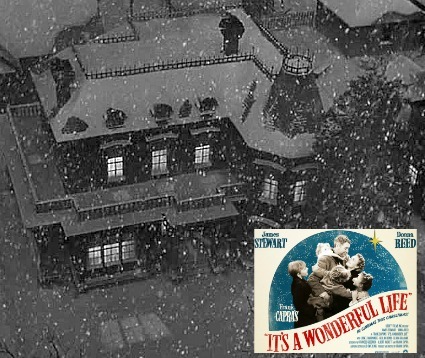 I love this movie and have loved this house always. If I could build any house I would build one just like this. Love this post and that movie. Thanks for sharing of your time and great content — as always. Is there an Oscar for sets exclusively??? I haven’t seen that one. I’ll have to look for it–thanks!! What a beautiful Inn. I love old architectures like this. There’s something about them that are so intriguing. Thanks! I’ve added this to my queue. 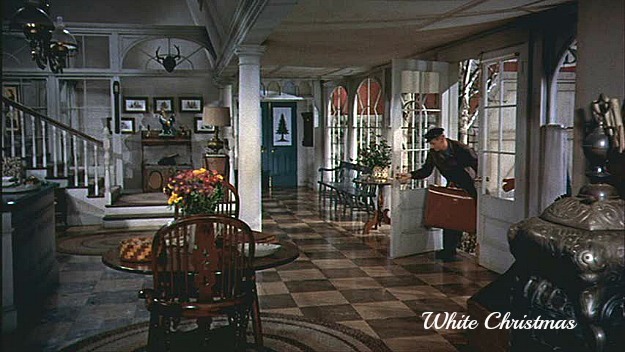 I just watched White Christmas for the millionth time last night and I always felt it was the same set as Holiday Inn! Love both movies, thanks for sharing these pics. 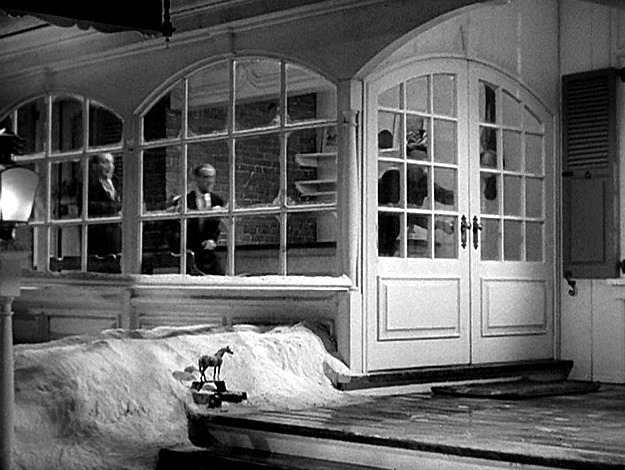 I think you would also like another great ’40s movie: Mrs. Miniver. A wonderful WW film with a lovely house (clearly a set, as there is a mismatch from the outside to the inside But lovely all the same). I wrote about Mrs. Miniver last year. Love that one! 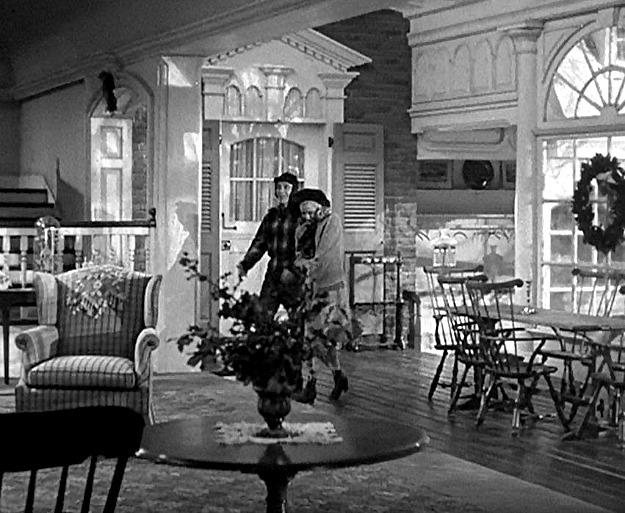 I agree with you, I would love to have a house just like those from the 1940s set in the country. I cannot get enough of them. Um, Julia, do you know you rule?! I’ve been wanting to get pics of this house! 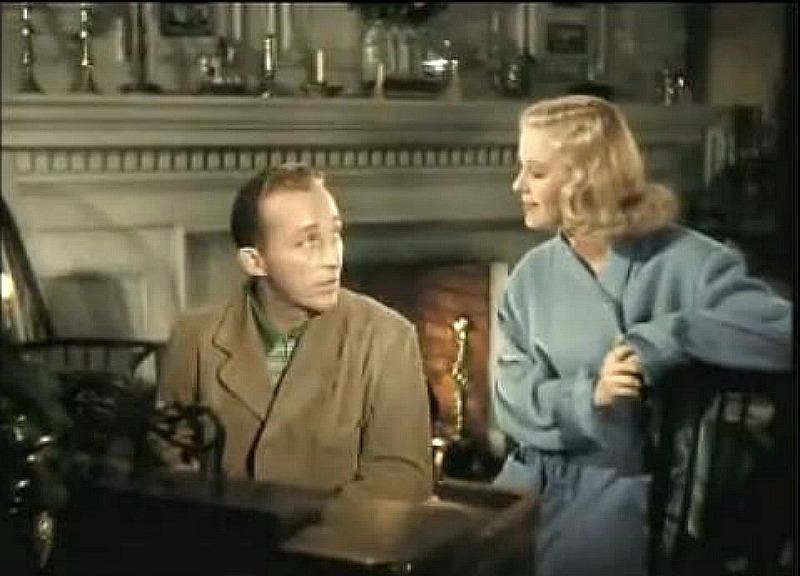 Why do Bing Crosby Christmas movies always have the greatest homes? I love the big wall of arched windows and big open space in what was I guess the living room when it was a house. If I got to build my own house, I’d definitely model the living area after this one. 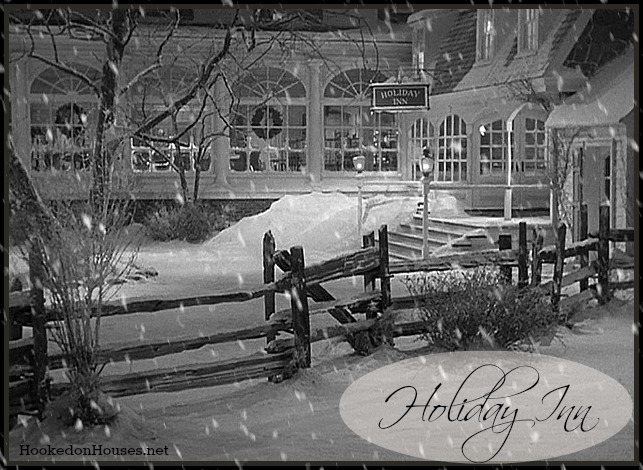 Love the info on White Christmas & Holiday Inn. 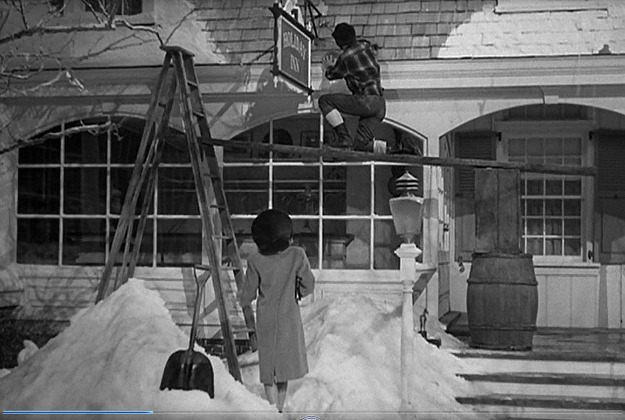 I have just been thinking how much I would love to build a house which mimicks the Columbia Inn in Pine Tree Vermont!!! Very nicely done with great photo illustrations, but please, can we dispense with the political correctness. There is nothing cringe-worthy in this movie. I’m almost as old as the film, and from my perspective we’ve all been indoctrinated in the last 40 years with way too much pc about race, religion and ethnicity. The “I take offense” industry is already way too big.